This post is a guide on how to play DVD on LG Smart TV beautifully without hassle. LG Smart TVs are very popular in the market; many customers bought Smart TV to play high-definition movies on it. Nowadays it is convenient to put movies on USB flash drive and play on LG Smart TV via USB port, but many users have video playback problems when they play DVD movie files on LG Smart TV through USB. Recently, i just got Brorsoft DVD Ripper used for ripping my old DVD movies for display on LG Smart TV without DVD player. This amazing software is convenient and easy to use. It can rip your DVD into any format you choose. I recommend it to first-time users and even to users who need something that is both powerful and fast. For Mac users, please turn to DVD Ripper for Mac, which enables you to convert DVD, ISO image files, Video_TS to HDTV friendly video on Mac OS X. (macOS Sierra/El Capitan included). Follow the easy steps to rip and convert DVDs to HD TV compatible video. If you wanna to view Blu-ray movies on LG Smart TV, here Brorsoft Blu-ray Ripper (or Blu-ray Ripper for Mac ) is right for you. It is not only a Blu-ray Ripper, but also work well with DVDs, just like the Blu-ray Player can work with DVD disc well. Besides DVD and Blu-ray , if you wanna to change some digital files such as VOB , MKV , MP4, MOV , FLV files to viewed on LG TV, the all-in-one Video Converter Ultimate program will a nice choice for you. It is a yet professional all-in-one Blu-ray Ripper, DVD Ripper and HD Video Converter, which comparatively has better output quality, in particular HD videos and intuitive interface. What’s more, its deinterlacing function and merging, cropping, trimming, adding subtitles ability are what its many competitive products lack of. If you are Mac users, please turn to iMedia Converter for Mac. Step 1. Launch the DVD Ripper for LG TV. Insert the DVD disc to your computer drive, and then click the “DVD disc” icon on the interface to navigate to the movies you want to convert. You can also add ISO file, IFO file or DVD folder. Step 2. Choose the optimized format for LG TV. Now click the Profile icon to reveal output panel. And move mouse cursor to TVs category to Select LG TV as the output format. The optimized output format will contains the best video settings for playback on your LG TV. Of course, you can also choose H.264 MP4, AVI from Common Video profile list. 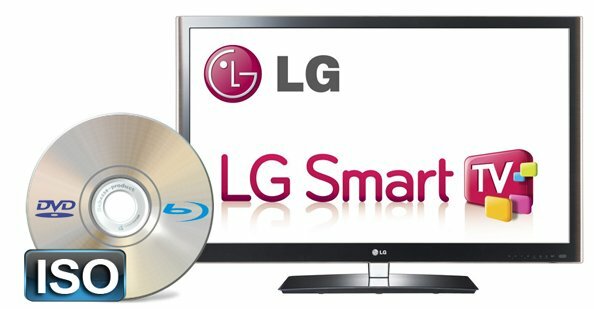 Tip: Before start the DVD to LG TV conversion, you can click the Settings icon and adjust the video size, video bitrate, codec, frame rate, audio sample rate, etc parameters, so that you can get a decent video on your Smart TV. Step 3. Click the “Convert” button to start converting DVD to LG Smart TV video format. After the conversion, connect the USB drive with computer and head to the destination folder where the converted files are stored; transfer the files to the USB drive then playback your DVD movies on the LG Smart TV with best quality.